​When painfully low turns to empty. You’re driving those last kilometres on nothing but fumes hoping a fuel station will magically appear, when suddenly you find yourself going from severely low to empty seriously. We all need fuel. People fill their bellies to get the energy to work through the day. Batteries keep our phones running. Cars are the same. A full tank can get you far, but when it runs empty, you’re stuck with very well-engineered dead weight. Anyone who drives knows to keep their tank full, or close to it. Experience teaches you how to get a sense of when you need to fill up and how far your current tank can keep going. However, sometimes it just slips your mind. Your day might be busy. You have a thousand things to do. 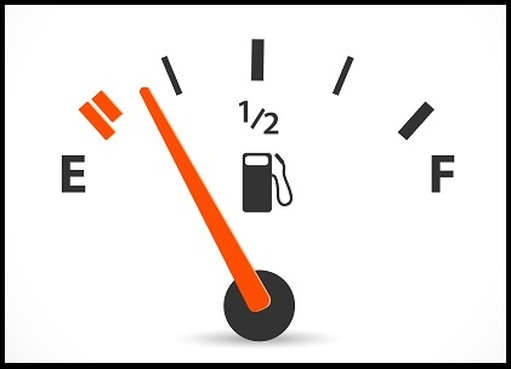 You are moving at such a fast pace that you don’t notice that the needle is moving steadily towards E. It only hits you that you’re out of fuel when your car stops because you failed to see even the little warning light. If you need someone to drive up and deliver some petrol or diesel, we can keep you moving. Our roadside assist service can refill you and get you going again. Busy lifestyles and unfortunate situations occur, but we can help you overcome them on the road. In the event your fuel problems are related to a leak in the tank, our tow truck Perth is also available to get you off the road. From there, you can get that hole patched up. Our service is professional and done with the best available tools. We make sure that we bring only the best quality of petrol and diesel to you when you call us. If your tank runs empty anywhere in Western Australia, just give us a call. From cheap towing to on-site refuelling, you can get any roadside assistance you need from us. You can get all of this without any membership fees or monthly dues! Luckily you have come to the right place here at Perth Towing Service. We understand how valuable your time is and will work hard to get your tank filled and have you back on the Road. We will come to you in a flash. We will come to you regardless of where your vehicle may have come to its abrupt stop. Here we will provide you with some fuel to place on your car to get you back on the road. Let’s hop skip jump to it and get the fuel flowing through the engine. We will direct you to the closest petrol station for you to top her back up and be back on your way. Keep an eye on that fuel gauge . With courteous and pleasant tow truck drivers, you will feel confident in the service provided to you and know you will be driving again in no time. We know that the price of fuel is at times out of this world and a rip off. Trust in us that we will not be taking advantage of that our yourself in charging high prices. In order to keep things fair, affordable, and of great value, we will simply base our price of our time and effort rather than factoring in and inflating an additional over the top fuel cost. Out of fuel? Don’t push your car or walk an hour to the fuel station. Let us take the work off your hands and make the process as hassle free for you as we possibly can.